Colleges are not just the educational institutions any more. They have become money making organizations. Colleges are not just the educational institutions any more. They have become money making organizations. They are more concerned about the tuition fees and the monetary funds rather than the wellbeing of the students. 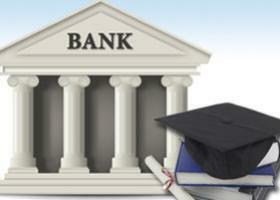 They are often encouraging students to do banking with their favored financial institutions. However, there is no assurance that these financial institutions will offer you the best deal in the country. Due to this reason, it is better to determine the kind of service you want from a bank before signing an agreement. You have the right to choose the banker with whom you want to work with. So, always feel free to exercise your right. Read along to know about 4 wise banking tips you need to follow during your college days. 1. Select the cards carefully: If you need to pay a fee for getting access to your prepaid credit card, then move on. If a bank asks you to pay a fee for crediting money in your prepaid credit card, then it is not a good deal. Watch out for those cards on which you don't have to pay any fee for loading money. 2. Keep a tab on every penny: College is the best time to inculcate good money habits. So, make a habit of checking out your monthly receipts. Find out how much you're spending every month to the bank and other financial institutions. Check out the credit and debit card statements every month. This will help to determine if you're spending $6 or $600 on the plastics. Plan a budget with the help of pen and paper. Use a personal budgeting Application if required. Try to use cash for your daily and weekly purchases. Research shows that an individual tends to spend less when he/she uses cash. 3. Calculate accurately: If you love to eat pizza on the weekends, then you're probably spending $20 every week. If you continue with this food habit, then imagine how much you're spending by the time of your graduation. If you have taken out an educational loan, then calculate the exact interest rates you have to pay every month. Save an amount every week which will help you pay off the loan within the scheduled date. 4. Conduct a thorough research: Gone are the days where colleges were solely dedicated to the welfare of the students. Colleges are profitable institutions. Nowadays, they are more interested in making money rather than imparting education to the students. So, don't open an account in the financial institution referred by your college. Open your laptop and browse through the official websites of different banks and credit unions. Find out what kind of services they are offering to you. A little bit of research can potentially save you a lot of money. Go through the âFine Print' section of the agreement carefully. Read each and every line written in that section. If the font size of the letters is too small, then you can use a magnifying glass to read them. Don't put your signature on the dotted line before understanding what you are getting into. Find out if they are charging any hidden fees. It will certainly take some time, but your effort will not go in vain. If you don't understand any financial product, then ask the banker about it.